I was invited to a Ruby Anniversary lunch party. I was wondering what I should bring. It was a friendly "just bring your self" party, but I wanted to give the couple something cute. 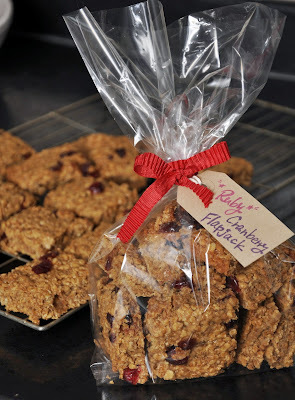 The idea of this "Ruby Flapjack" using cranberries came to my mind when I was looking at the invitation card which had pictures of ruby stones. So, here they are, my little gems in the Ruby flapjack. Preheat the oven to 160C and line a 20cm/8in square baking tin with baking paper. 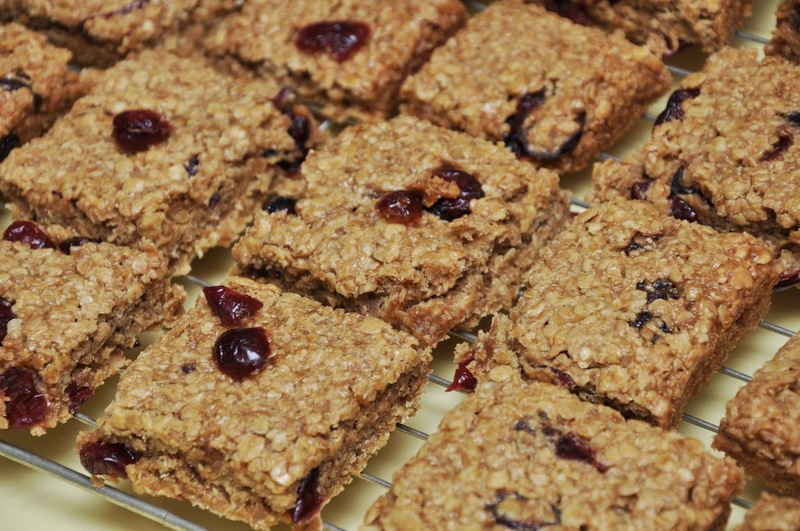 Mix the dry ingredients, (oats, flour, sugar, salt and cranberries) in a bowl. Melt the butter or margarine in a medium pan over a low heat. Dip a brush in the butter and brush the baking tin with a little bit of it. Add the golden syrup, black treacle and sugar to the butter and heat gently. Once the sugar is dissolved and the butter is melted, remove the pan from the heat and stir in the mixed dry ingredients and lemon or orange zest.